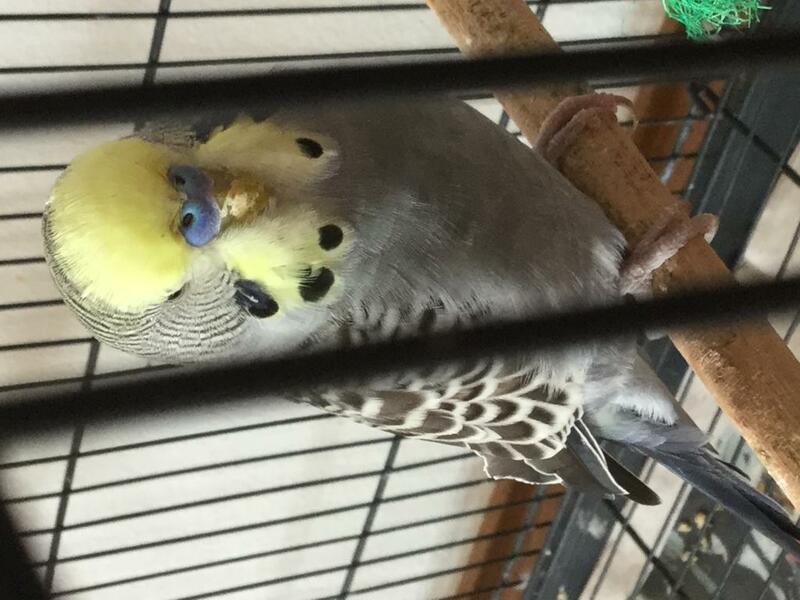 Today I noticed that there is something wrong with my budgie’s beak. I can’t really tell if it is a layer of crust over it or if his beak is scratched but I feel like there’s something on it. He is acting normal and eating as usual. Can anyone help me identify what is going on and what to do about it? I have attached some photos. 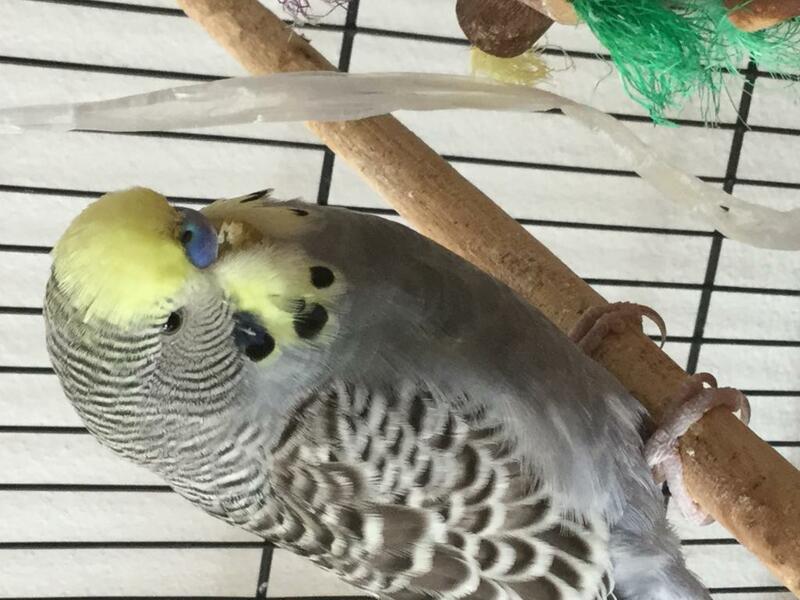 Also, he sometimes scratches his beak on the perches or against the cage walls but I’ve seen another budgie do it as well and she doesn’t have this problem. 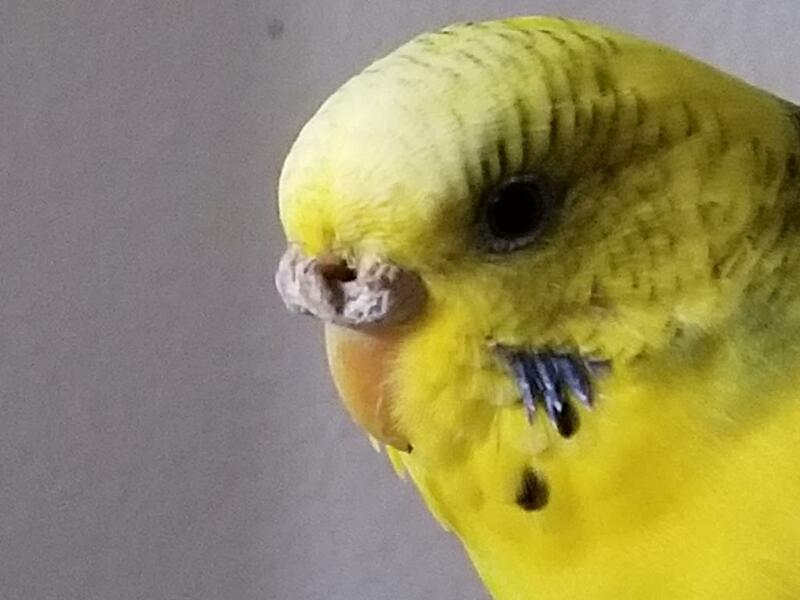 One thing that commonly effects the beak and cere area is scaly face mites but in your pictures it almost looks as if he has some food stuck on the beak, can you post a clear picture of him face on, not a side view. It’s been a day and it’s still there though. I have attached another picture of him face on. How long have you been seeing this on the beak? The picture is not clear enough to tell what it is but scaly face mites do not appear overnight, it takes a bit of time for them to produce the typical crust that is commonly seen with the mites. In person does it seem as if the beak is just flaky or are there raised areas like something is stuck to it? 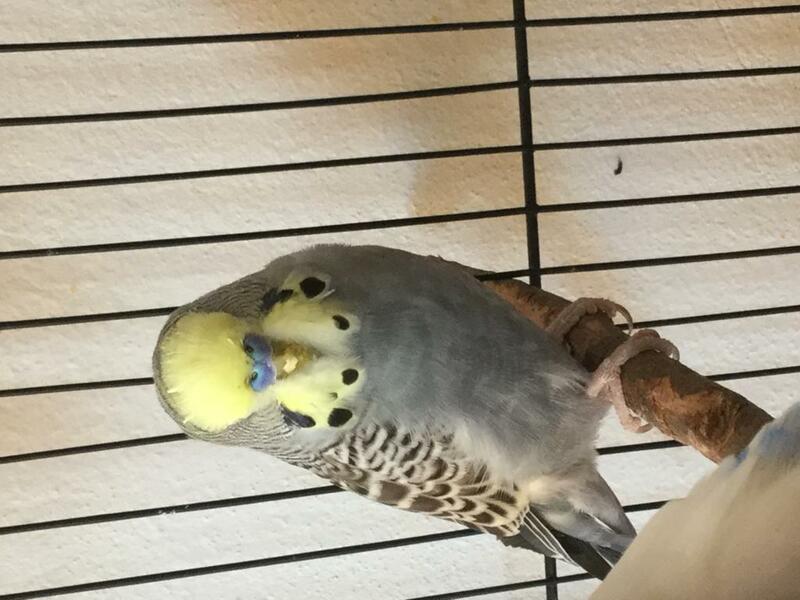 I started seeing his beak like this a few (3-4) days ago. It looks like there’s a dried layer of something on it. However it doesn’t look like it’s is flaky or crusty. I don’t think it is scaly face mites because it doesn’t match the early symptoms of it. I think it might be just food stuck to it because the photo I took yesterday shows less of that thing than the one I took the day before. Thanks for taking your time to answer my question. I’m sorry for posting a question that in the end isn’t even important at all. Does he like to take baths, if so maybe that would help to remove whatever it is that is stuck. All questions are good that's how we learn, so don't feel it was not important. He does not like to take baths. Should I just leave it? Does he let you hold him? If so, you can wipe the beak off with a cotton ball dampened with lukewarm water (don't get water in his nares). If he doesn't like being handled, just leave it and it will flake off over time. 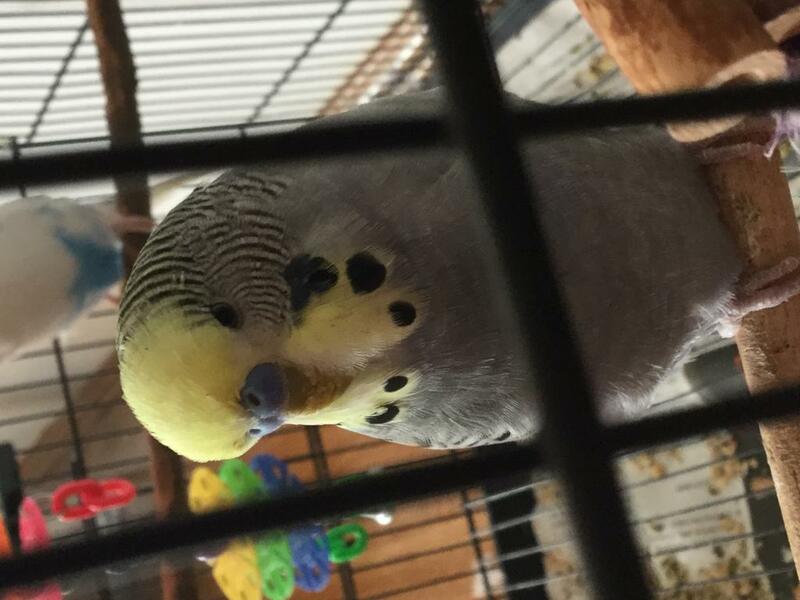 I was reading your comment string regarding this issue with crusty cere's on parakeets and I've seen this condition on my first budgie Daffodil (see image attached). She is a female (BTW - she is resistant to mating and generally dislikes being handled). The visuals I've seen on other websites do not exhibit scaly mite disease (that seems more yellowish and spreads throughout beak and near eyes). 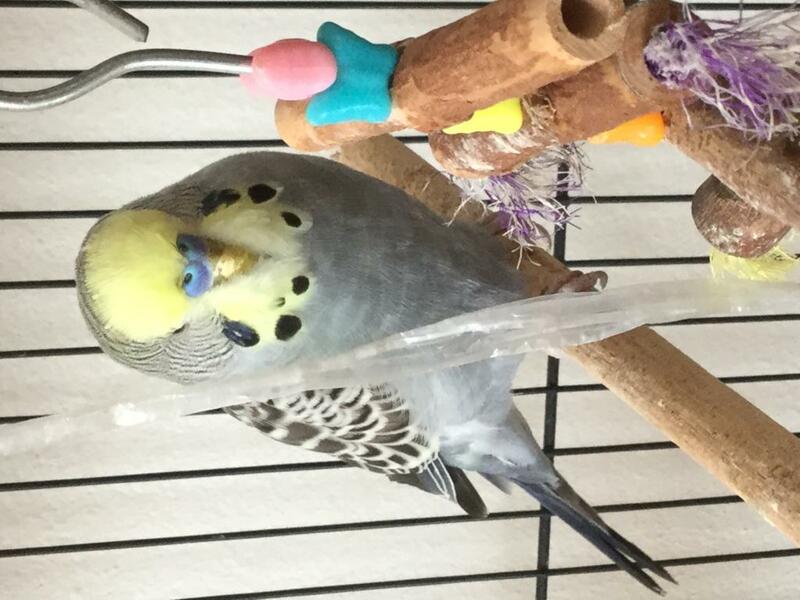 On Daffodil, the condition is strictly on her cere. The condition appears scaly & dry almost like eczema. Before going to the next step of an aviary vet, what are your thoughts/experiences regarding this? Please advise; thanks.